Title insurance provides protection real estate buyers need but might not think about until it is too late. An owner’s title insurance policy provides you with peace of mind that you’re protected from future claims regarding the ownership of your property. For homeowners, it insures that they have title to real estate free of any unknown liens, encumbrances or other title defects so that they can occupy, use and sell their real estate without the risk of loss. Unlike other insurance such as auto, home, health and life which protect against potential future events, title insurance protects against events that occurred in the past of the real property and those who had owned it. Owners’ title insurance premiums are paid once, at settlement, when you purchase your property. That is another way title insurance differs from other types of insurance. But the protection extends throughout the time the policyholder owns the property and even after it is sold. 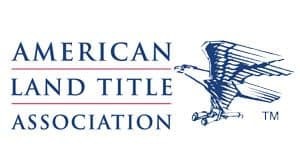 Title insurance covers matters that are not disclosed or properly disclosed in the land records, such as improperly filed or indexed documents, unreported documents, estate matters, bankruptcy of sellers, and fraudulent prior transactions. Owners’ title insurance comes in standard and enhanced policies. Enhanced policies cost more but provide coverage for additional risks. Lenders ordinarily require that title insurance be purchase on their behalf, at the borrower’s expense. Lenders’ title insurance only protects a lender’s security interest in real property and will not protect the owner and, unlike owners’ policies, terminates when the loan is paid off. Conversely, making sure you get an owner’s policy will ensure that your purchase is covered as long as you (or your heirs) own the property. An owner’s title insurance policy means your property is protected and has the backing of multi-billion-dollar title insurance company and its legal department. Should anyone make a title claim, you will be covered, defended, and compensated for any losses at no additional cost. As a settlement agent, we are required by Virginia law to advise you of the availability of owner’s title insurance coverage.